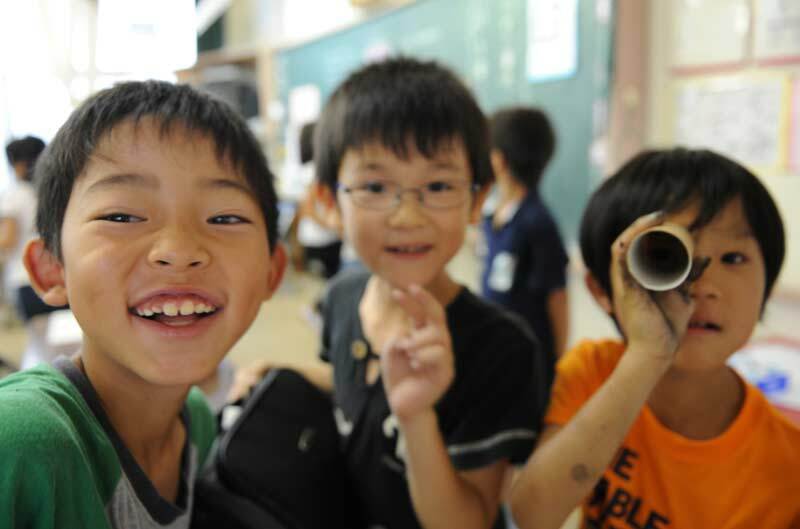 Takematsu Elementary was the school World Campus – Japan has the opportunity to share a complete day interacting with the kids that someday will become the leaders of Japan, or at least the leaders of the community of Omura, Nagasaki. Our time in the school was very well scheduled by the principal of the school and the head teachers, who were very happy to have us there, not only because they knew their kids would love it but also because they know that learning about other cultures is something very important for the complete development of the kids, as kids, as people and as future part of a great community. For us was a great learning experience. We learn about discipline, respect and most important: the culture of support and understanding the kids develop in Japanese Schools.